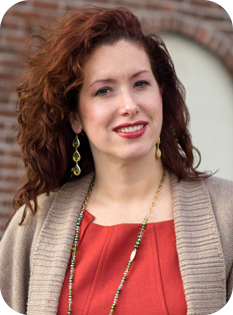 Jennifer Shaheen is known as a Technology Therapist ®, who has expertly guided business owners through the intersection of marketing and technology for the past 15 years. Shaheen has a unique expertise that combines technical prowess, entrepreneurial insight and marketing acumen. Her marketing strategy, brand development and small business operations skills have been engaged in the retail, manufacturing, hospitality, health care, and travel industries. A thought leader and visionary, Jennifer seeks continually to translate today’s digital mysteries into understandable, accessible, actionable information. What makes Jennifer unique is her ability to teach people how to integrate fundamental marketing principals across multiple platforms, from traditional vehicles like print through freshly emerging social media sides. An experienced educator, Jennifer deftly provides nurturing support for her clients while inspiring and challenging them to grow. Her unique talent for identifying meaningful technological developments as they emerge, discerning what they mean for business owners, and communicating that clearly through the modern interpretation of sound marketing principals consistently delivers client-pleasing results. Jennifer is a graduate of Hofstra University a contributor to multiple online publications and professional speaker. She actively mentors unseasoned entrepreneurs. In her spare time, she enjoys skiing, fine food, and competing in obstacle course races.